The quest for excellent oral health is ongoing. Therefore, you’re constantly looking for ways to improve your oral hygiene. One convenient way is to use a mouthwash, but with so many on the market, which is the right one for you? Your dentist in Federal Way says you have to start by taking an assessment of your needs. As you read on, he’ll explain how to find the right mouthwash for you! Is Rinsing with Mouthwash Important? When it comes to your oral hygiene, we can divide your activities into two categories: the primary habits and the supplements. Your main means of practicing oral hygiene are brushing and flossing at least two times a day. There aren’t any sufficient substitutes for these activities; thus, they are considered to be primary in their importance. Using mouthwash is considered a supplemental activity because it can’t, alone, serve as a firm foundation for your oral health. Combined with brushing and flossing, though, it becomes a very powerful tool. Thus, using mouthwash is very important to your oral health. How Does Mouthwash Benefit You? Rinsing with mouthwash helps to remove leftover food particles that would otherwise linger in your mouth and attract bacteria. 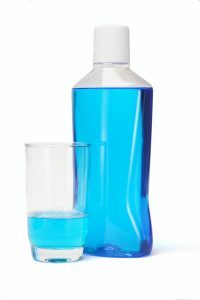 If you are suffering from gum disease, your dentist may prescribe an anti-bacterial mouthwash that fights plaque. If the primary concern is prevention, then you may choose to use a fluoridated option that will work to strengthen your teeth and prevent oral health issues. One of the most convenient things about mouthwash is that, in some cases, it’s easier to transport than a toothbrush and toothpaste. Thus, if you’re out having a meal, you can rinse afterwards with mouthwash to remove most of the debris that bacteria look to attach to. Which is Better – Fluoridated or Anti-bacterial Mouthwash? There is no definite answer to that question because your dentist will recommend a particular type based on what your specific needs are. Thus, the best route to take is to visit him or her for preventive care. While there, you’ll receive a complete checkup, so that your dentist can get a complete picture of your oral health and then recommend an option based on the findings. To learn more and experience the value of a preventive care visit, reach out to your family dentist in Federal Way to schedule an appointment today! A graduate of Northwestern University in Chicago, Dr. Drew Beaty has become a fixture in the city of Seattle and the surrounding areas. He is passionate about helping every patient experience the absolute best in oral health, which is why he attends over 100 hours of continuing education training each year. Dr. Beaty changes lives through improved dental health at Drew Beaty Family and Cosmetic Dentistry and can be reached for more information through his website.